An unusual evergreen annual. 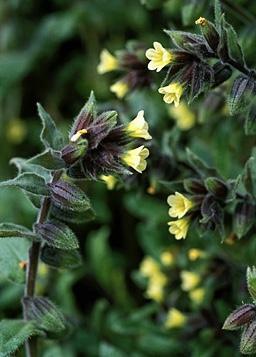 Early spring, hairy foliage in dense clumps with pale yellow pulmonaria like flowers in clusters. Sun or semi shade. 30cm tall. Seeds freely.